The newly launched 2017 Africa Twin Honda CRF1000L Adventure is another best bike of Honda Brand. 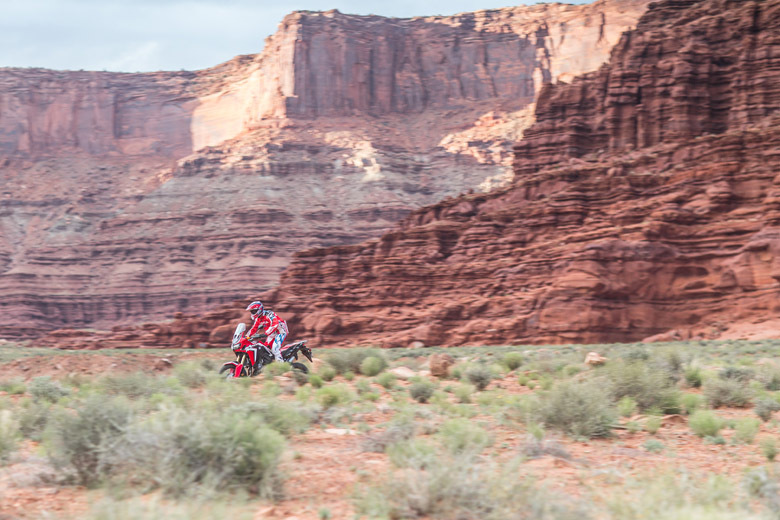 It is especially for those riders who want nothing but the adventurous ride from their bikes. The new 2017 Africa Twin Honda CRF1000L Adventure is a perfect travelling companion for the explorer in the rider. 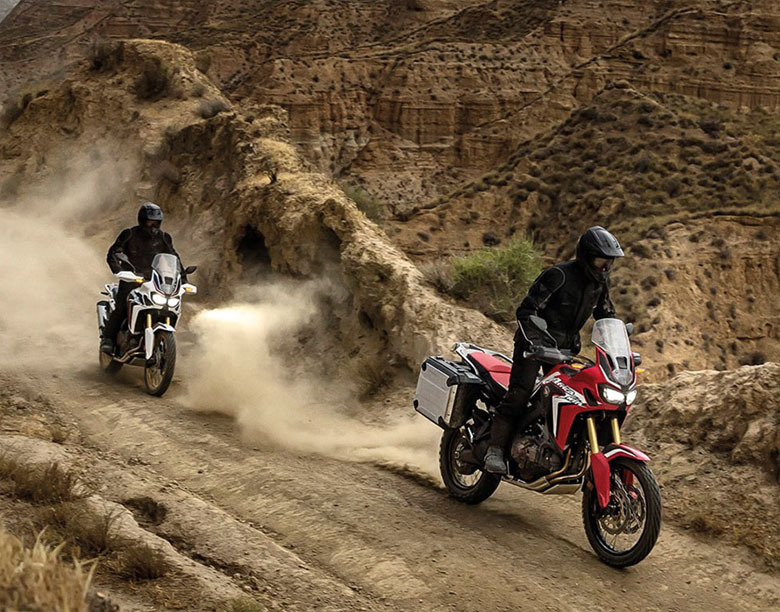 No matter where you wants to travel, to where you want to explore new places, just take the 2017 Africa Twin Honda CRF1000L Adventure bike with you and have an adventurous trip. The review of new 2017 Africa Twin Honda CRF1000L Adventure along with specification and pictures are written below. The new 2017 Africa Twin Honda CRF1000L Adventure bike comes with the best performing parallel-twin engine. Its new layout makes the bike shorter front-to-back. It only means that front wheel can tuck in closer to the engine, shortening the wheelbase and making it more nimble off-road and on-road pavement. The new aluminium handlebar is much lighter than the steel one. Its design tapers from the thinner diameter under the grip of a rider to the fatter section of the bar-top clamp. It is finely tuned for optimal flex and rigidity. This bike features real adventure bike spoked wheels offering the best performance in off-road riding. It has 21 inches of front and 18 inches of the rear wheel for best travel experience and off-road riding experience. The braking system is specially customised for best performance. It features 310 mm of wave-rotor front disc brakes and single 256 mm of wave disc in the rear. This braking system gives the ample stopping power in all conditions. This bike uses the twin four-piston brake callipers. The radial-mount design helps to make them stiffer, increasing brake feel and comfort. The Honda Bikes has Unicam engine design with the small cylinder head for superb engine placement. This engine also benefits from superior performance with the entire cylinder head layout. 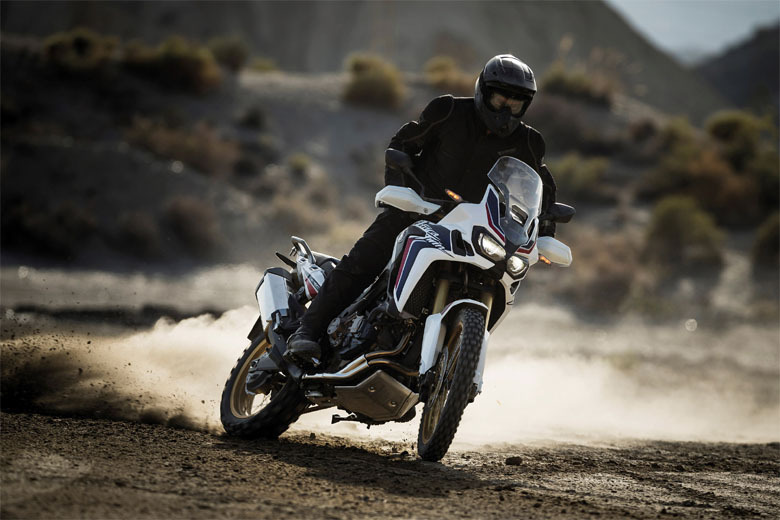 The new adventure bike uses the single twin air-intake design with twin vertical filtration elements. It plays a major role in an excellent performance of the engine with plenty of clean air, even under the dusty conditions. 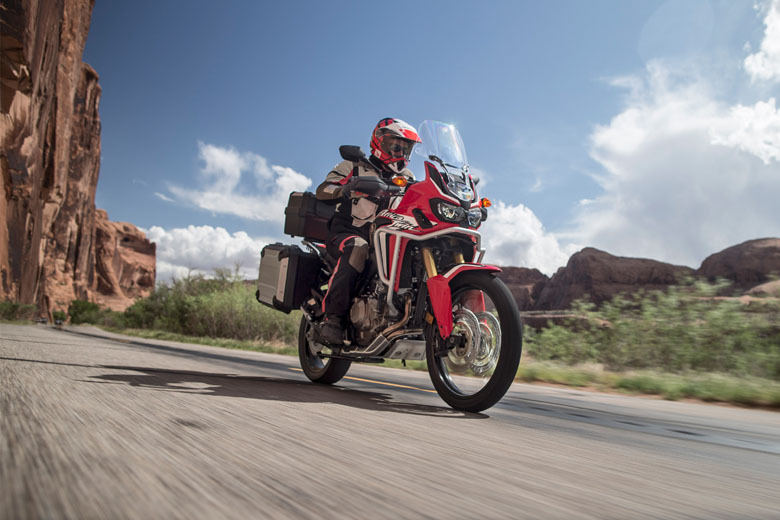 The new 2017 Africa Twin Honda CRF1000L Adventure bike features the best windscreen that protects the rider from the wind and other elements during the long miles of high-speed touring. At lower speeds, the rider can enjoy the better visibility. Since it is an adventure bike, so it offers plenty of seating position to the rider. It has an extremely narrow peg-bar triangular seat that allows the rider to move up and forward and backwards for better handling. It provides an adjustable passenger’s seat, which makes it easy to reach the ground easier by finely tuning the riding position. Honda has eliminated the vibration by using new counterbalancing element. It results in superior handling, smooth and vibration-free ride. This bike is giving the best handling experience like 2017 CRF 250L and CRF 250L RALLY. The newly launched 2017 Africa Twin Honda CRF1000L Adventure offers 43 degrees of steering lock on both left and right to provide excellent manoeuvrability on tight trails. 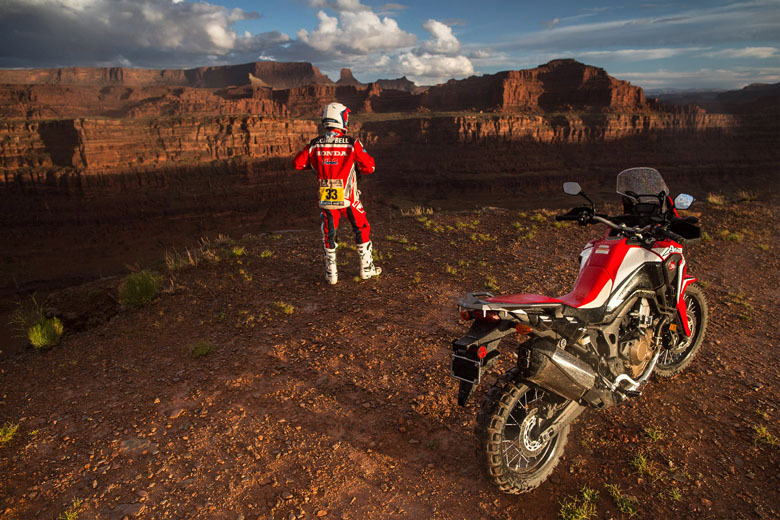 It is one of the reasons why most of the rider prefer 2017 Africa Twin Honda CRF1000L Adventure. It features semi-double-cradle frame layout for best performance and outstanding handling. This design of the structure is very helpful in the challenging dirt championships. The front suspension features inverted Showa fork with fork tubes of 45 mm and travel of 9 inches. This system is fully adjustable for both compression and rebound damping. The rear suspension of this adventure bike has 220 mm of stroke with the 8.7 inches of rear wheel travel. There is a particular remote preload adjuster for compensation of varying loads like a passenger or full panniers. The new 2017 Africa Twin Honda CRF1000L Adventure has Pro-Link rear suspension linkage up away from the harm. Its rising-rate design resists bottoming and it gives the plush ride over small bumps. This bike is customised with the long-travel suspension to have a better ride. It features large-diameter hollow steel axles front and rear. These shafts are strong, durable and light. The new Honda Selective Torque Control (HSTC) giving three settings for the broad range of conditions. 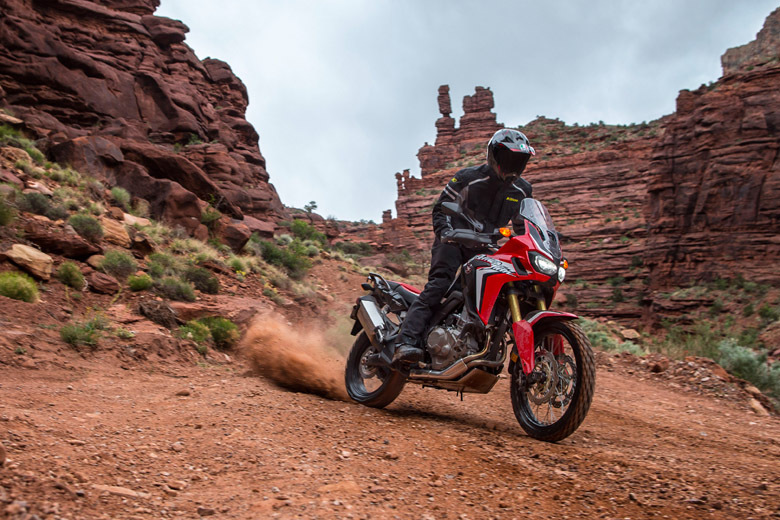 The newly launched 2017 Africa Twin Honda CRF1000L Adventure bike have the low centre of gravity. It achieves by using the small engine and superior platform for better handling. The new Anti-Lock brake system (ABS) comes as a standard in it. Moreover, the ABS function can be turned off for the rear wheel in the dirt. This bike features standard six-speed manual gearbox, but the rider has a choice to use automatic six-speed Dual-Clutch Transmission (DCT) as well. Both provides stout and strong steel gear. The design of the engine is dry-sump. The more compact sump increases the ground clearance and eliminates the vulnerability of conventional wet sump. The water pump is tucked behind the right side cover. This bike uses the 270-degree-phase crank that delivers the easy modulating experience where traction is challenging. Emissions Meets current EPA standards. Models sold in California meet the current CARB standards and may differ slightly due to emissions equipment. One Year Transferable, Unlimited-mileage with the limited warranty, extended coverage available with a Honda Protection Plan. This article gives a complete review of 2017 Africa Twin Honda CRF1000L Adventure. It was covered under www.bikescatalog.com. It is a fantastic adventure bike offering some features that make the high ride full of adventure. The seat is amazingly designed, chassis is compact, tires and wheels are best.